Recipients were selected for on-highway, medium duty and vocational sales success. "It is my sincere honor to congratulate the winners of our prestigious Leland James Elite Program," said Bob Correll, vice president sales, Freightliner Trucks. "The winners who achieve this award are hardworking, dedicated professionals who help our customers achieve their business goals by guiding them on their commercial vehicle needs. It's no easy task, and we are pleased to honor them with this distinction." 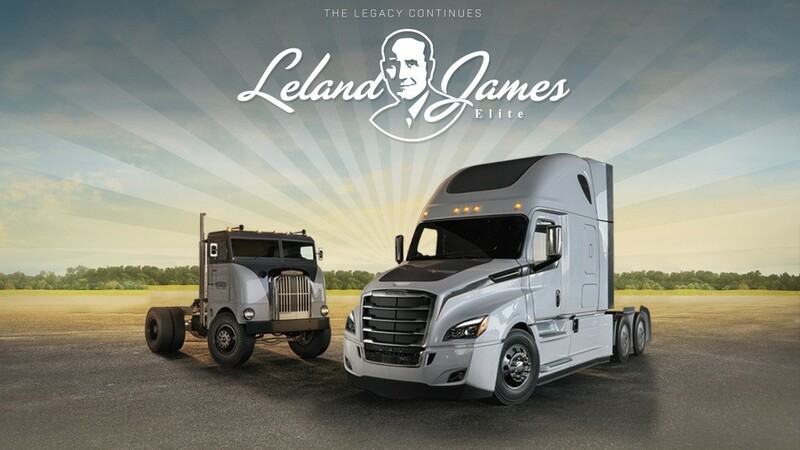 Created in 2003 and named in honor of Freightliner Trucks' founder, Leland James, the program recognizes and rewards outstanding sales results from dealer sales professionals in the United States and Canada. The top 46 sales professionals and 6 sales managers were honored at a special awards ceremony earlier this month. Recipients were selected for on-highway, medium duty and vocational sales success. The recognition also considers other criteria, including total number of customers, conquest account achievement and training certifications. "For more than a decade, we have honored our top sales professionals with the Leland James Elite Program," said Tom Zielke, business training and events manager, Freightliner Trucks. "The competition is fierce, because the Freightliner Trucks network is made up of truly superior sales professionals. The winners of this program exemplify the best of the best in terms of hard work, commitment and superior service to our customers, and it is our honor to reward them."